Home Music	M for Montreal, music, and marathon! M for Montreal, music, and marathon! 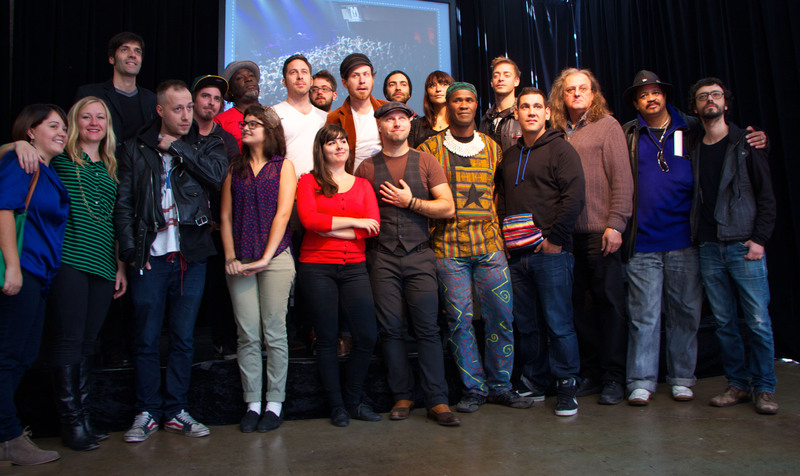 Founder Sébastien Nasra and other organizers announced this year’s program for the 2012 M for Montreal festival. Photo by writer. Montreal is a destination of choice for musicians from all around the world. The city has been blessed with a full year of amazing festivals— and it is far from over. From Nov. 14 to 17, M for Montreal will take the city by storm for the seventh year in a row. On Oct. 9, festival founder Sébastien Nasra was proud to reveal this year’s program. With over 100 performances in 16 different venues, over 100 Canadian artists, 28 presenters and 100 international delegates from 18 different countries; it’s definitely something to be proud of. This year, M for Montreal decided to divide the festival into two components. The first one, ‘official selection,’ features 25 promising Canadian bands, including Quebecers Les Trois Accords, Koriass and Maïa Leia who offered an impressive performance at the press conference. The second part, ‘M FEST’ features 75 performances from big names and emerging artists from all over the world. The festival features Of Monsters and Men and Paper Diamond, as well as great Canadian bands like Plants and Animals and Half Moon Run. But M for Montreal is not just about the shows, there’s also a more professional aspect to it. Over one hundred music industry professionals and delegates from Germany, China, Latvia and more will host nine conferences and workshops about various topics all related to music. M for Montreal seeks to promote and showcase emerging talent from Montreal and the rest of Canada. In the same week, the Mundial Montreal festival is back for its second year from Nov. 13 to 16, seeking to showcase the best of world music from Canada, including names such as Marco Calliari and Heavy Soundz. With 33 artists, 10 venues, and more than a 100 delegates, this festival is definitely a must-see. To top it all, GALAXIE will be giving out a $3,000 Rising Stars Award to a promising performer or band selected by a jury. To all music lovers, producers and players out there, the third week of November is definitely one that you’ll want to spend in the city. For more information on M for Montreal or to purchase tickets, visit www.mformontreal.com. Tickets for conferences are available as of Oct. 20 at 1 p.m.